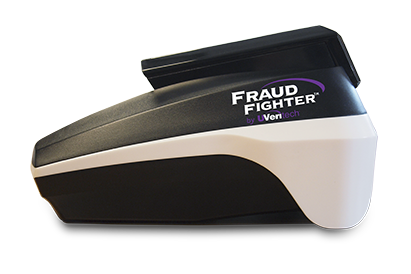 Just go to the FraudFighter website and download the software after a currency change has occurred. 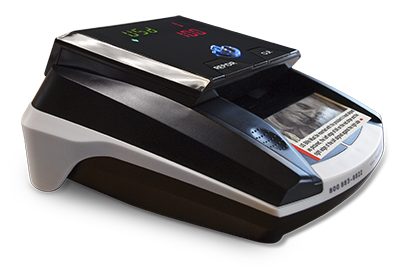 The CT550 is designed for authentication of banknotes (currency), only. 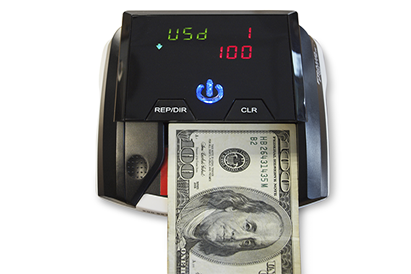 Many of the world’s major currencies are available as software that can be installed onto the unit, for example, US dollars, Canadian Dollars, Euros, British Pounds, Hong Kong Dollars, Japanese Yen and more. 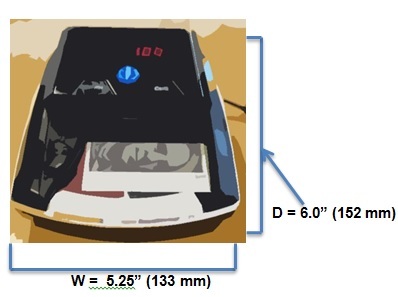 Dimensions: Length 5 1/4 in. Power Supply AC100V~240V 50/60Hz or DC12V/1.0A. The CT-550 units are warranted to be free from material and workmanship defects for a period of one (1) year from the date of original purchase. 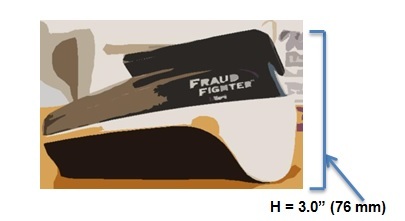 Supplier's limit of liability under this warranty is to repair or replace the product at Supplier's option. Consequential costs such as, but not limited to, loss of use, loss of time or freight charges are not covered. 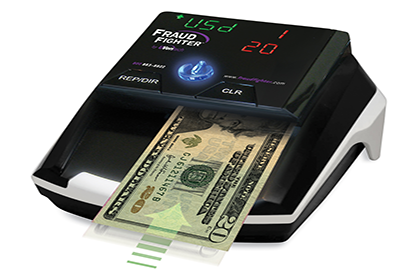 Any product that has been abused, altered, tampered or incorrectly operated is not covered. Product finish is excluded from this warranty. No other warranties are expressed or implied. We reserve the right to make changes in design, materials and specifications without prior notice. Please note if the serial number(s) can’t be verified, UVeritech will no longer directly support the after-sales service and warranty.